The trial of Senator Dino Melaye in alleged gunrunning suit was yesterday stalled following his absence in court. 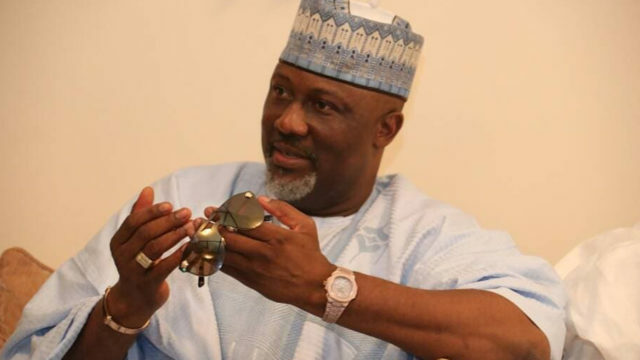 Melaye, who represents Kogi West Senatorial district, was to appear before a Magistrate’s Court in Lokoja, the Kogi State capital. Counsel to the defendant, Mike Ozekhome (SAN), who was represented by Yemi Mohammed, informed the trial Magistrate, Suleyman Abdalah, that Melaye was attacked in Gwagwalada on his way in Abuja. He added that the prosecution counsel was not ready to open the case for reasons best known to him. However, the officer in charge of police prosecution, Theophilus Oteme, told the court that the prosecuting counsel could not come to court because he had an emergency meeting. He asked for a long adjournment till September 23, 2018. He therefore adjourned till August 9 for the commencement of trial. The Guardian leant on good authority that some armed men attacked Melaye yesterday in Gwagwalada, while he was on his way to Lokoja for the case. The men were reported to have blocked his way in a Hilux and a Sienna bus allegedly belonging to government.